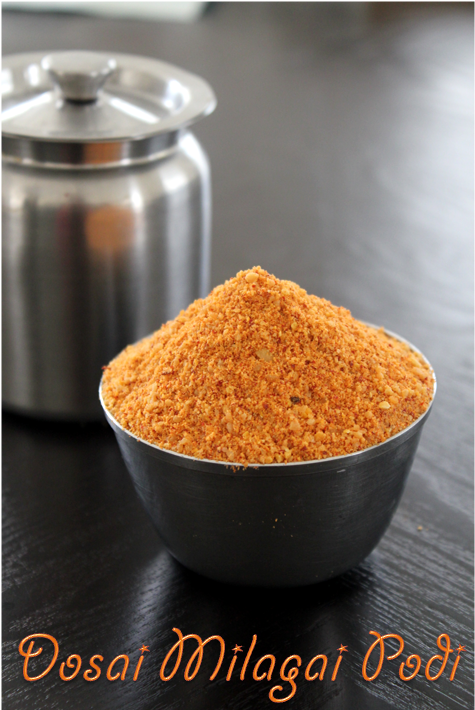 Dosai or Idli milagai podi is an aromoatic,spicy powder had with idlis and dosas in South Indian homes.How many ever accompaniments you have for idli or dosa this powder is a must. It is usually mixed with a generous amount of gingelly oil and applied on idlis. 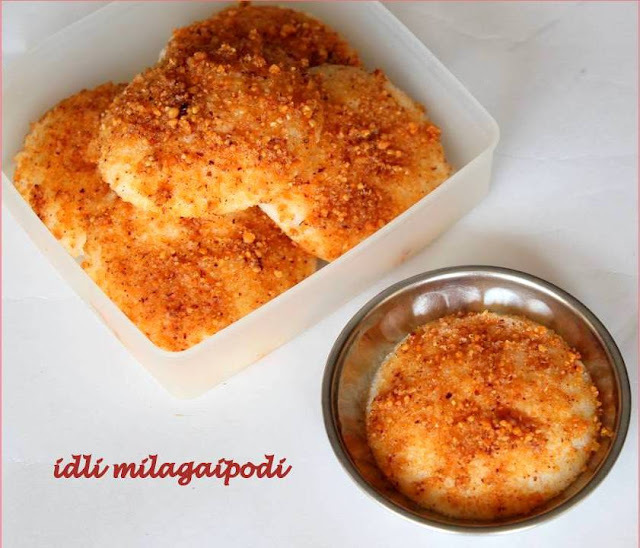 It is a perfect travel food.I am sure all of us(south Indians)would have enjoyed this while we were travelling. Heat a thick pan and add the oil.If you are using rock asafoetida fry it oil and keep aside.Pour the urad dal,channa dal and sesame seeds.fry till the dals are beginning to turn slightly brown.now add the red chillies and fry till the dals become nice golden brown.make sure they do not get over fried and become black. 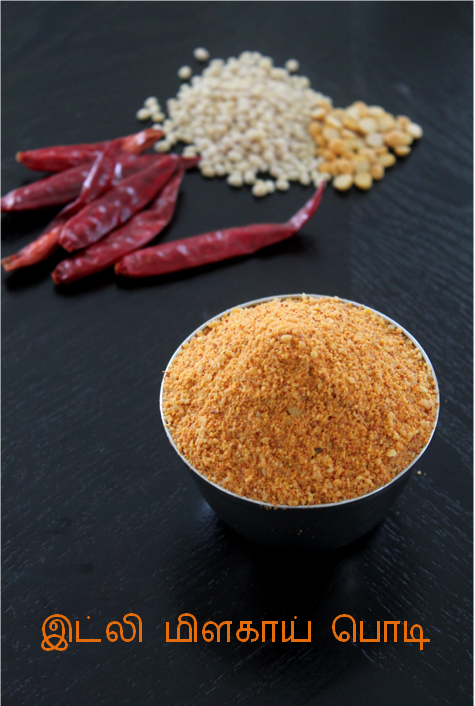 Cool everything on a wide plate and put the red chillies,asafoetida(powder or rock) in the mixer and powder it.Add the dals,sesame seeds,jaggery and grind it in to a coarse powder. I powder the chilies first so that it is powdered well and mixes with dal powder evenly.If you are not using the rock Asafoetida use one tsp of powdered one. Using jaggery is purely optional.I add so that it balances the spice.